The maintenance of high-voltage overhead power lines involves high-risk procedures; the accidents involving live lines maintenance can be lethal. This paper presents the architecture and main features of a novel non-immersive virtual reality training system for maintenance of high-voltage overhead power lines. The general aim of this work was to provide electric utilities a suitable workforce training system to train and to certify operators working in complex and unsafe environments. The developed system has three components: the virtual warehouse, interactive 3D environments, and a learning management system. The workforce training system consists of thirty-one maintenance maneuvers, including the application of different techniques and equipment designed for various structures. Additionally, the system, using 3D animations, illustrates the safety conditions required before starting the maintenance procedures. To fit the worker’s different skill levels, the system has three operation modes: learning, practice, and evaluation, which can be accessed according to the trainee’s level of knowledge. The system is currently used to train thousands of overhead power lines operators of an electric utility in Mexico. The system has demonstrated to be a cost-effective tool for transferring skills and knowledge to new workers while reducing the time and money invested in their training. The development of this project would have not been possible without the support of many people that shared their experience and knowledge in different fields of expertise. Primarily, we would like to thank Dr. Salvador Gonzalez Castro, who first foresaw the potential of researching and applying virtual reality to help improve the different processes of the power industry in Mexico. Deepest gratitude is also due to the executives at CFE national headquarters, Eng. Benjamin Sierra Rodríguez., Eng. Jesus Ortega Torres, and Eng. Alejandro Bonilla Rodríguez who provided invaluable assistance, and funded the project. Special thanks also to Eng. Victor Manuel López Ortiz and Eng. Feliciano Ochoa Sosa who provided technical information and coordinated the project from CFE side. We would like to convey special thanks to all the linemen who selflessly shared their reliable knowledge and experience to make this project successful. 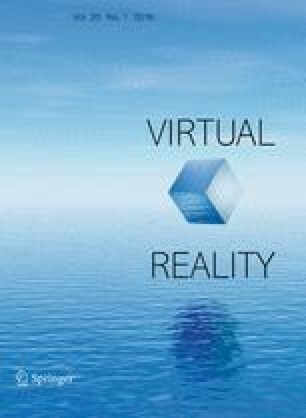 Last but not least, we would like to express our greatest acknowledgment to the virtual reality development group whose dedication and talent made this project possible.